Walk the path from Victim to Victor! "When you empower your children with confidence, they no longer face certain people and certain situations with fear!" “Children are the world's future. 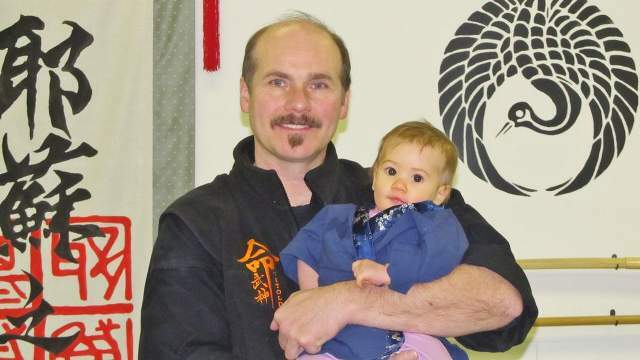 Sensei Vitold Jordan has been teaching children for over 30 years. He loves it. His patience, attention to the children's welfare, as well as their enjoyment is apparent right away. 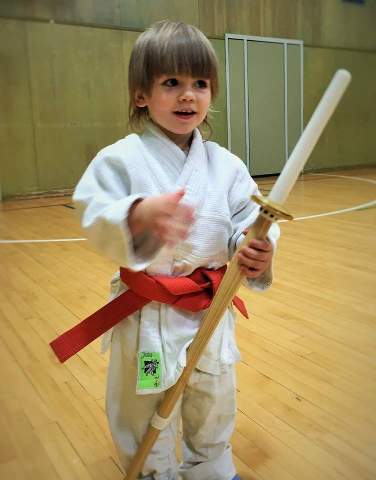 He does not focus on the martial arts education alone, but also on the child's education beyond the mat. 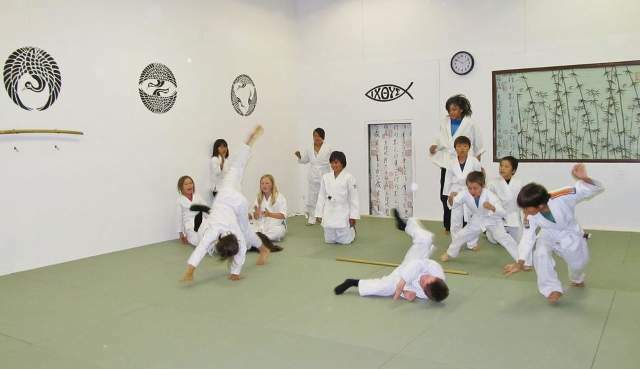 Manners, good vocabulary and grammar, an understanding of human biology, structure and hygiene, (so that kids learn to take good care of their bodies,) and even physics (to help them better understand the martial art they are learning, as well as the world outside,) are all part of the education process in the Art of Yeshua-Do. All instructors try to reinforce the good lessons the kids get at home, which helps validate that mom or dad are always looking out for their best interests. 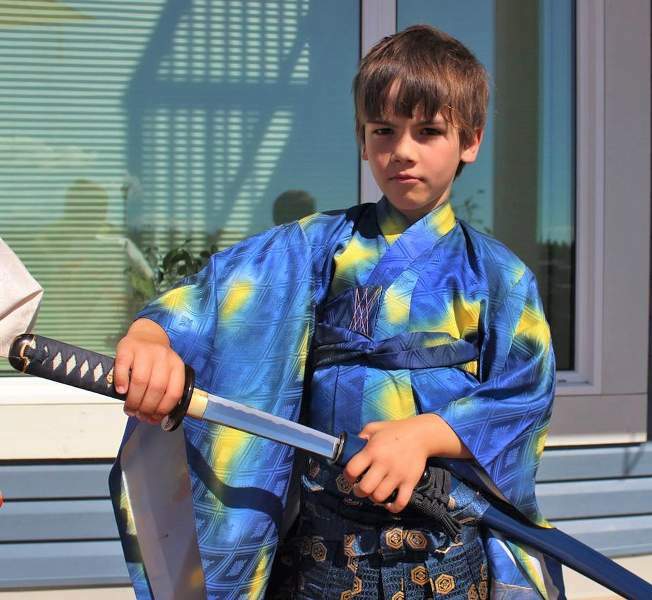 “Since it is so likely that children will meet cruel enemies, let them at least have heard of brave samurai/knights and heroic courage. We believe that the future of our country and world depends on polite, thoughtful and reliable children. 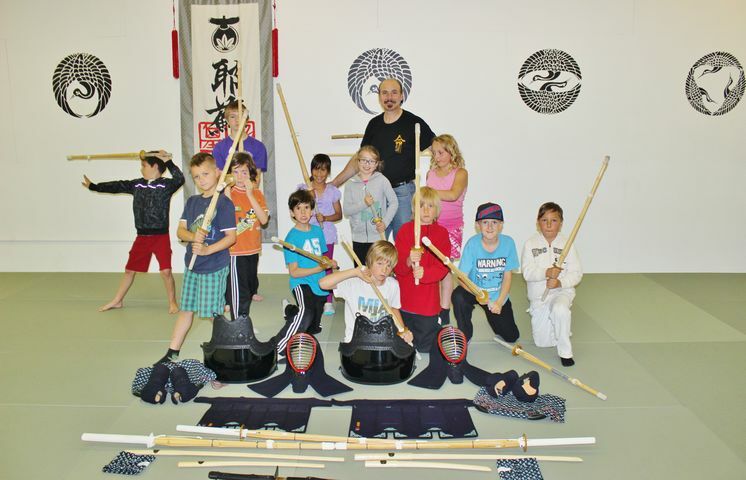 Our program not only focuses on martial arts lessons but also reinforces the good lessons kids learn at school and at home. Role playing for socialization skills, games to teach teamwork and group dynamics, and games or activities that teach physical and mental coordination are the backbone of our program, with non-violent Aikido/Tai-jutsu techniques as the encompassing theme. We’ll have frequent events like our dojo movie nights and sleepover training sessions, and our trips and retreats to the Yukon Mountains are the best hit. Kids are first here! PARENTS CAN JOIN IN WITH THEIR KIDS IN THE CLASSES. 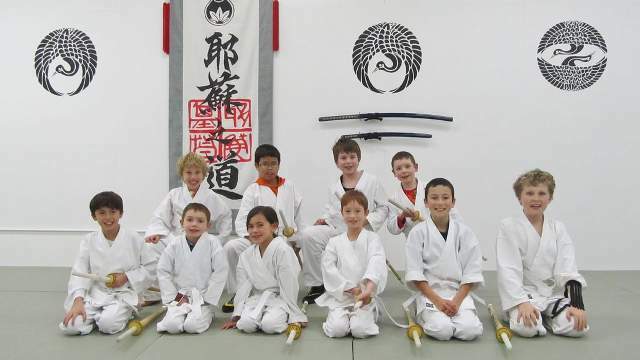 Program run at: "Yeshua-Do Dojo"
recreational activities at Sport Yukon! 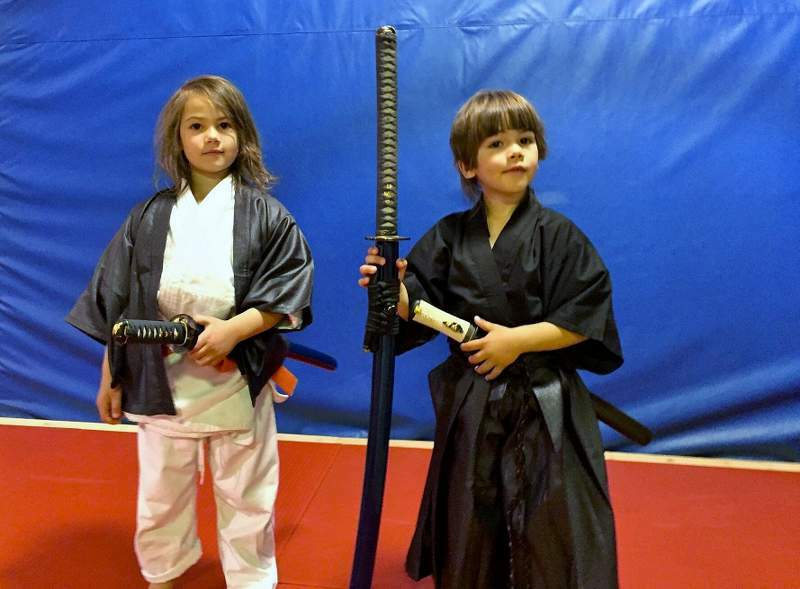 1) “Little Ninjas” - for children 2 to 4 years of age is a "game centric" program, max. 30min. We have been developing this class for a few years and have had wonderful experiences with the kids. 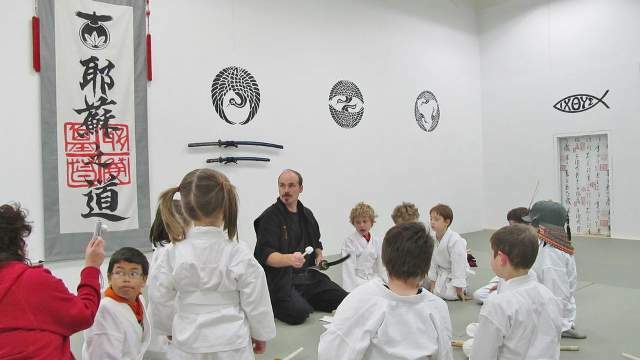 The program is less focused on martial arts techniques, and more centred on developing, polite, happy and healthy kids, with an aptitude for learning and helping others. Exercise, Positive Interaction and Love! 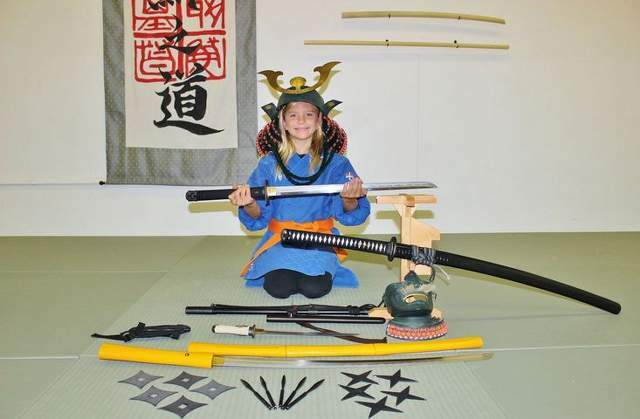 2) “Little Samurai” - Ages 5-10 yrs. max.40min. Basic and fun calisthenics and stretching start every class. Kids, more than ever, need physical activity and exercise on a daily basis, and here they will get plenty of it! We want kids to have strong bodies, not just strong video game fingers! Curriculum is a combination of Aikido techniques, and basic Tai-jutsu (quick body moves, parries, and conflict avoidance). 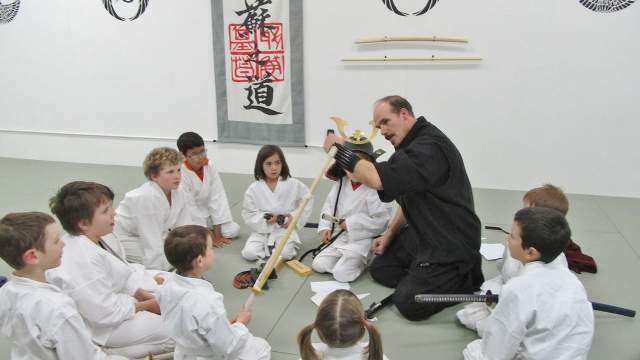 Practical Samurai sword fighting in Ken-jutsu (We use Kendo shinai's), self-defense skills and peaceful interaction are a big theme in this age group's classes at YAMA Dojo. 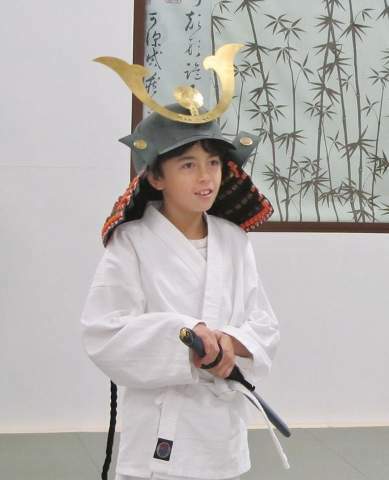 3) "Youth in Budo" - Ages 12–16 yrs. Special class for the older kids and young teens up to 60min, set up to help with the transition to ADULT training and classes. Class includes a harder workload; more technically challenging martial arts based curriculum, and more self-defense training scenarios. While still a fun training environment, the "YIB" students are expected to train hard and learn more material. 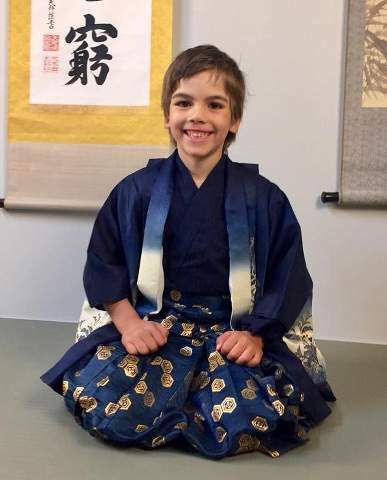 Because age, body size, grace, balance, personality, and strength will differ between students, the daily curriculum requirements are flexible, so that different children can work together, and practice a variety of techniques that will accommodate these differences. This means that each student can work at his or her own pace. As skills progress, a student frequently gets to test his or her self-defense techniques on a variety of attacks with his or her fellow students. This helps to polish the skills so that with regular training, reaction to attack becomes second nature. With regular martial arts training, self-confidence is gained so that one can be calm in stressful situations in all walks of life, whether it be sports, schoolroom or playground, or in a real crisis. In addition to learning a wide variety of physical techniques to learn balance, coordination, cooperation and to neutralize an attack, children will learn how to protect themselves from a much more common threat: FALLING DOWN! 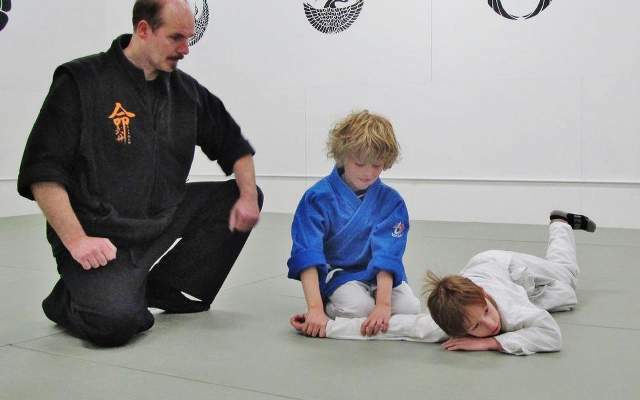 We train kids in the same art of Ukemi-waza (Art of Falling) that the adults learn. Ukemi-waza can be defined as the ability to take falls and rolls safely to protect the body. 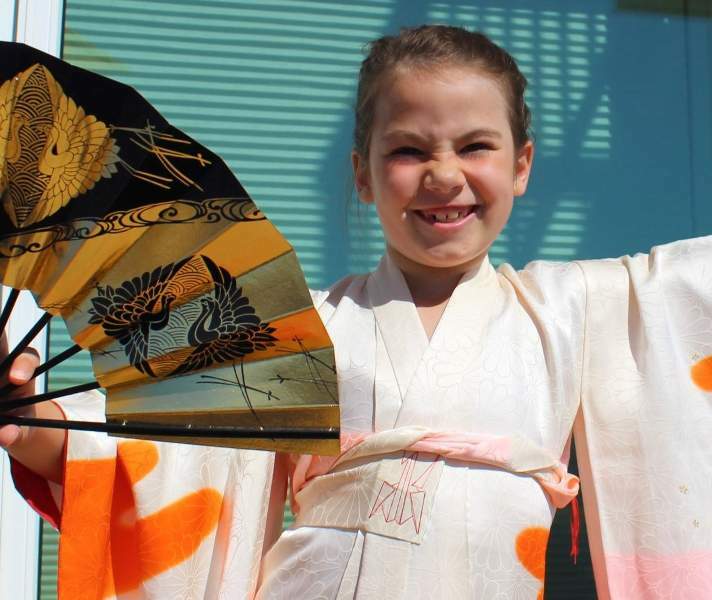 We make Ukemi into more fun for the kids. Although easy to do with training, jumping into the ground is not something most adults are comfortable with in their first few classes, but children love to tumble and roll around, therefore many games can be created for such practice. One of our main focus points in Yeshua-Do is to make learning a lot of fun for the children. Kids that have fun and are excited about their martial arts school are more likely to continue training and not get bored. Continued training is the only way for a student (child or adult) to acquire usable martial arts skills. The mechanics of martial arts technique can be taught to a person reasonably quickly, but only through regular partners-practice can a student be able to have the skills become instinctive and more importantly: Effective. Kids also gain self-confidence as they play and interact with other people. 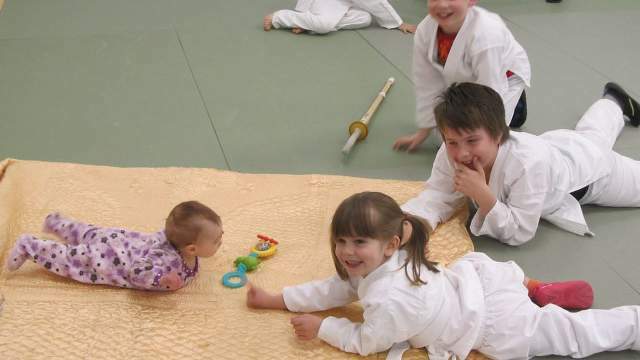 In a kind of "martial tag" the children learn that in the dojo it is okay to push, so that they can learn to defend against such an assault. The "Blending-Line" or "Defense-Line" allows a child to practice the most basic and yet important self-defense skill of all: Simply, to get out of the way of an attack. They also think it is a lot of fun. to Avoid conflict, Redirect anger, and Manage hostility - (A.R.M.). Knowing how to defend yourself physically does not preclude trying to avoid having to. The best form of self-defense is one you don't have to apply physically. Kids need to be smart about the situations they put themselves into. Awareness, threat avoidance, and the confidence to say 'NO' when the time comes are key. Children are also educated on the fact that violence is never the answer to difficult social situations. They are taught physical defensive skills, as the primary martial arts portion of Yeshua-Do education, but they also need to understand HOW to attack, so that they can understand how to defend against it. 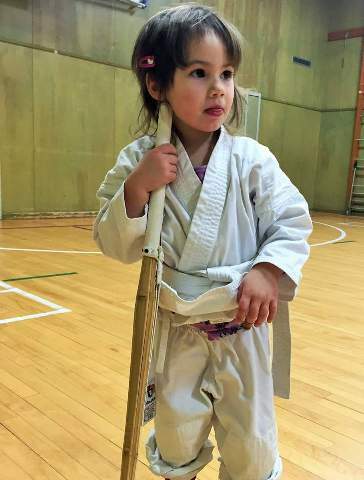 So children do learn some striking, blocking and kicking techniques, so that they can help teach their fellow students to defend against such threats. 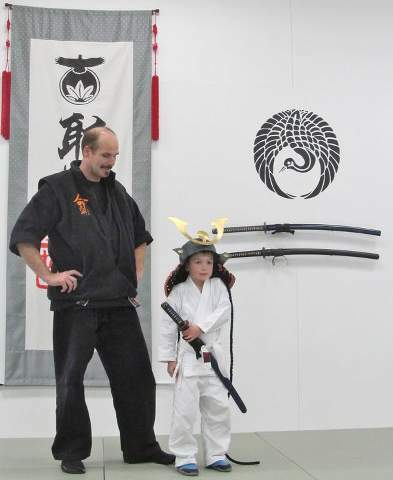 We are very serious however about teaching the kids that they must never use their martial arts skills, for any reason, outside of the dojo training classes. Social and emotional development is paramount to develop happy and healthy children so we really focus there, then self-esteem and self-discipline become second nature. 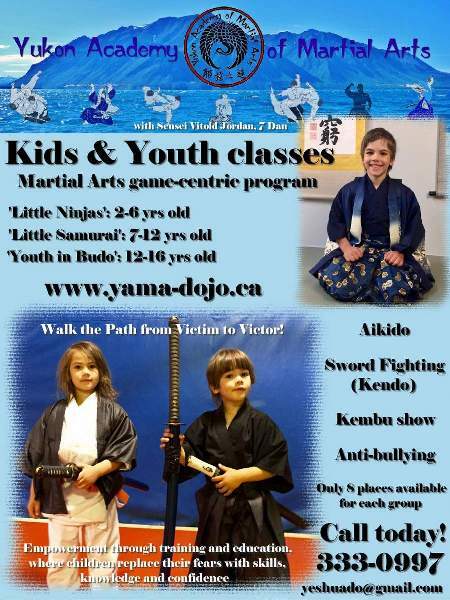 Stop by and speak to our Sensei for further information on YAMA Kid's Program, teaching and philosophy on how the Peaceful Martial Art can positively impact the future of our community and children...including yours. of the true Martial Art”.